Eating some animals to rescue others? How many vegan pizza options? Fancy vegan sushi in Bristol? As of January 2019 all of our food is vegetarian, lots of it is vegan (VEGAN KITCHEN BREAKFAST , PITTAS WITH CHARGRILLED FALAFEL OR CRISPY SEITAN, THE VEGAN CLASSIC BURGER, THE KITCHEN FALAFEL BURGER, PIZZA) and our food comes from producers and suppliers who we trust and believe in. As well as enjoying great food and drinks, a friendly atmosphere and great service – by eating and drinking at The Kitchen you are supporting our work with young people. 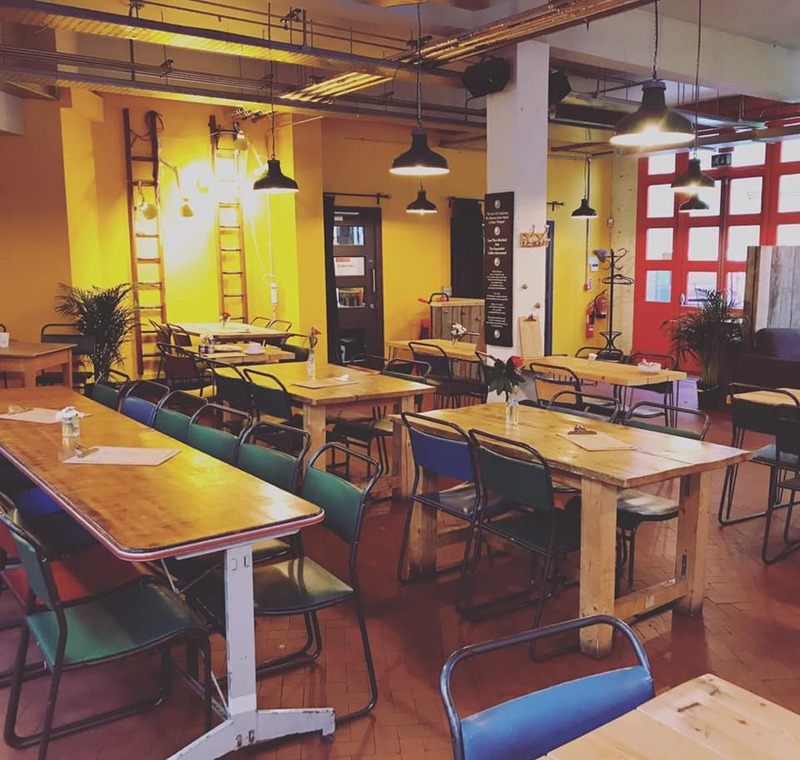 The Kitchen is a YMCA Bristol social enterprise that creates opportunities for young peeople who have faced challenges to get work experience, training and be part of a nurturing community – supporting them to reach their potential. This work is entirely funded by the food and drink that we sell. Our Menu is designed to offer great value, unfussy tasty food and drink. We’ve got some healthy dishes but we’ve also got a few treats.